The cereal grain family prides itself on its powerful, expansive arsenal of lectins, phytates, gluten, and other antinutrients. A single seed of its patriarch, wheat, can punch holes in gut linings with ease, and cousin oat has managed to obtain official recognition as being good for the heart even as it doses you with gluten. As healthy whole grains, they hide their armaments in plain sight; they cloak their puny bodies in the very poisons for which they are lauded and applauded. We Primals have got a heated feud going with the family as a whole, but should we paint all its members with the same brush? Let me draw your attention to rice – diminutive member of the cereal grain family, frequent component of anti-low-carb advocates’ arguments, and the source of much consternation among grain abstainers. Is white rice the proverbial black sheep of the grain family? Does it deserve our full and unwavering opposition? Or, perhaps, can we treat rice like that crazy uncle who drinks a bit too much at family gatherings – occasional visits of short duration are fine and mostly harmless so long as you keep the hard stuff (scotch/soybean oil) locked up? I’m starting to think it’s not quite so bad as we sometimes portray it. Sure, rice is nutritionally bereft, but it’s not all that offensive when compared to other, more heavily fortified grains. As a seed, rice does employ a number of anti-consumption deterrents, most of which are located in the hull and bran. Let’s take a look… Phytate Phytate, or phytin in rice, binds to minerals, rendering them largely useless to any animal that consumes it. Well, rats can break through the phytate and get at the minerals fairly well, but they evolved that ability – we did not. Heat does little to phytate, but, since it’s located in the bran, physically removing the bran removes the phytate. That’s why brown rice eaters tend to have poorer mineral balances than white rice eaters. Trypsin inhibitor Trypsin is a digestive enzyme produced by mammals to cleave protein peptides in twain and reduce them to their constituent parts – amino acids – for easy absorption. Without trypsin (or with it inhibited), we’d be hard pressed to digest all the protein we eat. Luckily for rice eaters, trypsin inhibitor is located primarily in the outer embryo of the rice seed, with a bit in the bran, and none in the polished, milled seed. Bran-free white rice has no trypsin inhibitor. Steaming rice bran deactivates it, too. Haemagglutinin-lectin While rice doesn’t have something as pernicious as the gluten lectin agglutinin, it does feature haemagglutinin-lectin, which can bind to specific carbohydrate receptor sites in the intestinal lining and impede nutritional absorption. Again, though, it’s only found in the bran, and standard steam cooking inactivates its toxicity. 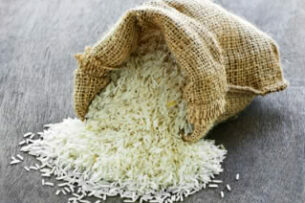 The common thread is that white, milled, polished rice is basically pure starch. All the chemical negatives are found in the hull, husk, and bran, and those are easily removed … Continue reading How Bad is Rice, Really?